There is a perfect part of each of us, inside, that can never be damaged, hurt or altered. That part is known by many names. 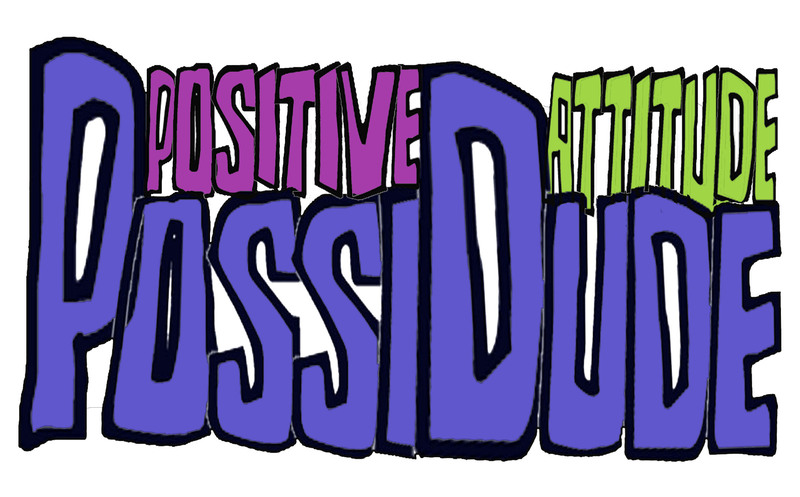 For the purposes of this blog, we are calling it PossiDude (positive attitude dude). The experience of that part of us is the only thing of importance. How do we allow that presence to present itself to us, as us? How do we be the person we came here to be? So, what are the rules and how do we do this? We come to identify, as we go about our lives, certain things that are always (without exception) true. The more we align ourselves with these truths, the more truths are revealed to us. One of the natural consequences of aligning ourselves with these truths is the experience of joy as our life, a deep sense of well-being. The farther away from alignment with these truths we get, the less the experience of joy. Simple, ease-y. To some extent, all of us have had some dis-ease (mis-information) programmed into us, from the time we were born, mostly, by well-intentioned people who had forgotten what these truths are, and we became like these people. Our journey then becomes getting back to the experience of joy as our life. Now what about our children? They haven’t been programmed yet. What program do we want for them? This blog is about teaching these truths (which can be identified in most religions and philosophies) in a way that is fun and exciting for kids. (by the way, adults are just kids in grown up suits) It’s time to set aside our differences and look for the similarities. We can teach these truths, from our individual faiths, and show children how to apply them in their lives using the idea of the “super hero inside”. For truly, it is only there that it can be found. Each post will present, in a simple, easy to identify way, a truth, and how to identify it in each of our lives. These truths are the real “super powers” that are already there, inside us, waiting for us to use and develop. We invite children (and adults) to write in and share their experience living these truths, as they go about their day. Not only will they be learning to align themselves with fundamental truths but they will see that others, not necessarily of their faith, practice these same truths. Imagine, if you will, children growing up, learning to respect each other, and learning to value people with different beliefs, accepting others just as they are with no judgment. Using PossiDude as the name of our super hero allows everyone, of any, or no particular faith, to identify with this perfect part of us. Again, you can give PossiDude any identity that will allow you to teach your particular faith. We invite you to add a comment or post. We especially invite young people to share their experience as they use and develop these super powers. It is my hope that we will have a wealth of experience, on this blog, from children, that will help other kids see these powers in their own lives. A sort of “how do I live by principles in this sometimes crazy world” manual for kids, from other kids. This is an ongoing growth experience for all of us as we dis-cover even more ways to identify and live these truths. I hope you will share in the adventure! i’m one of your fellow top 25 in the Positivity Program. just want to let you know i’m humbled to be in the same grouping with you. thanks for how you’re changing the world. Thanks Lisa! I love your project too. Anything we can do to get each other to stop and consider the good that’s already there is a benefit to all of us.